No downtime! Glowing skin ready for a night out! Crystal Clear most intense hydration treatment yet, giving red carpet ready results! The H20 Glow facial delivers freezing cold oxygen throughout the epidermis to nourish & invigorate skin cells, while the COMCIT roller allows Hyaluronic acif to reach deeper dermal layers via micro-channels; plumping & re-balancing the skin from the inside out. Completed with lift mask. The result is brighter, fresher, hydrated skin that glows with a youthful radiance! Microdermabrasion, Cryo Oxygen and Comcit Roller. 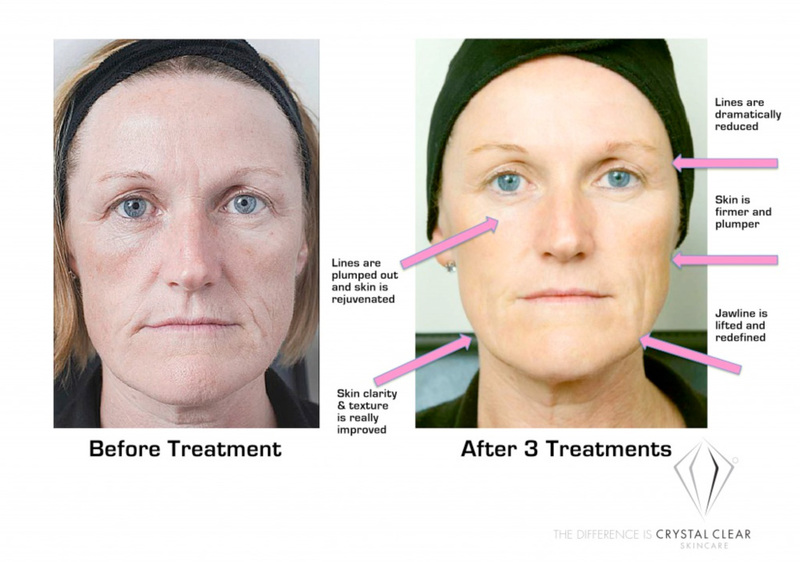 Fantastic results for dull, laz skin, reduces wrinkles and stimulates. Fibroblasts and collagen to rejuvenate skin. Great results for Pigmentation and Acne too! Terms and conditions. Treatments must be taken by the same person. Not in conjunction with any other offers.